It is very important to take the proper security measures for the safety of your wireless network. Doing this is the only way to avoid the chances of attack by hackers and other web intruders. Wireless connectivity is becoming a more and more convenient choice for users. The reason for their popularity lies in the fact that they possess a great ability to connect multiple devices in your house, apartment or office without the mesh of wires. With a wireless network and a device, once can surf the Internet from multiple rooms in the location. You can read this article on securing your computer from a laptop in your kitchen, on your couch, at the dining room table, or even while laying in bed. The convenience is significant. Unfortunately, unsecured home networks allow hackers to steal your important information, such as credit card numbers, passwords, bank account details, and even medical information. Also, there are many people who can make illegal use of your network, without your knowledge, for other purposes. A neighbor nearby who can access your wireless signal might use it to download copyrighted material, movies, music, etc… over your network. This way if there are any problems, you can be blamed for the illegal activity, and not them. Sometimes they just want to use your wireless signal to get free internet, but if you have a limited amount of data usage or you pay for overages, your neighbor could cost you real money. 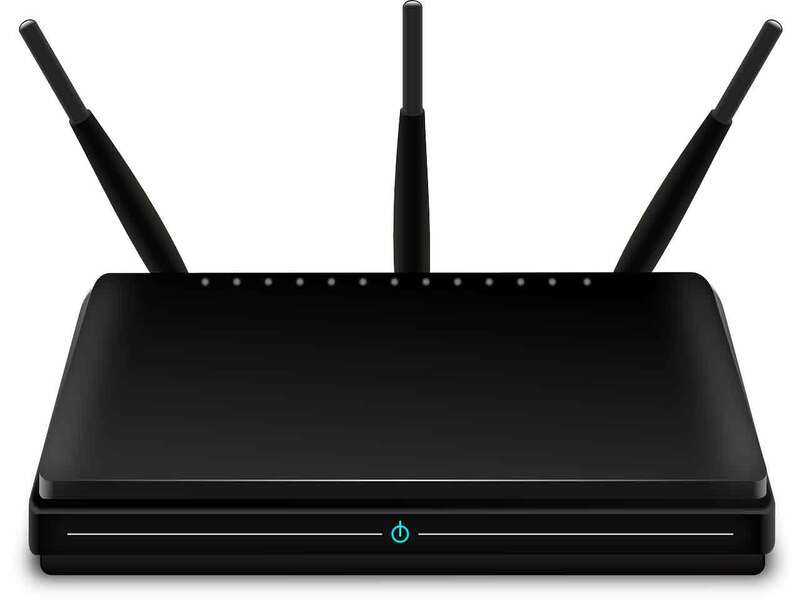 Most routers have a commonly known default username and password. The manufacturers publish the default login information on their websites, for the user’s convenience in figuring out how to connect and set up their router. By doing so, they make it easy for the users to set up and troubleshoot wireless access point initially. They also make it easier for cyber criminals to quickly know these default passwords and use this default setting for gaining the administrator’s access. If you will simply change the user name and set a strong password you will make it hard for them to crack the passwords. If you are using any encryption protocol to secure connection, it will be difficult for the hackers to breach the encryption applied by you. They will not be able to intercept the information exchanged by you. They are the best choice to be safe from all kinds of cyber attackers. While connecting to a wireless network most of the modern devices shows a list of all available networks within that range. There are people who try to connect with the open connections they see in the list. To secure your network it is necessary to never broadcast your identity or SSID. In this case it will be difficult for any random user to connect to you because they won’t even know the name of your network. If they know the name of your network, all they have remaining to figure out is your password. If you are not using your network for a specific period of time, consider turning it off. If you are going on vacation, for example. Additionally, there are systems you can use to automatically turn off your network when you are not home. For example, you can program it to be off during the hours you are gone to work. It is very important to spot an appropriate space for the placement of your wireless router whether you are placing it in home, office or somewhere else. Pick a spot where it provides a signal for the entire space, but does not leak the signal outside the radius. Placing the router next to an outside wall might send the signal across several buildings, If its placement is not correct that means you are offering others the opportunity to use or hack your network. If they have to be physically inside your walls to get the signal, it increases the difficulty for them. Although each access point and wireless router has its own interface, the wireless networking principles are the same, so you can use the instructions above for securing access points. Increased comforts bring more dangers. Intruders and hackers are targeting these unsecured connections like never before. They are taking advantage of those users who are not running any computer security software and simply plugging in their wireless router without having taken any security measures to protect their connections. It is as unsafe as if you are inviting them to attack. But by integrating all the features of the best security software you can secure your wireless connection. This was a guest post by Kanika Ahuja. Kanika is an experienced content writer who would like to share the best android free apps to download, apps for windows phone, free business management software and much more at SoftMozer. Prev What Role do Proxy Tools Play? Next What is EXIF Data and How to Remove it from Your Photos?